In addition to representing victims of personal injuries and losses, we also offer representation, guidance and support to victims of workplace accidents. We know how difficult it can be to obtain workers' compensation, and we will remain at your side throughout the claims process. 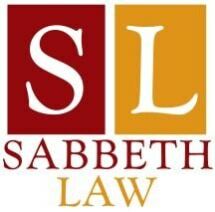 Whether you suffered an injury in an accident, lost a loved one due to another's negligence or sustained an on-the-job injury, you can put your trust in the capable hands of the attorney at our law firm, Sabbeth Law Office. If you would like to discuss your situation with our lawyer, you can do so by taking advantage of our offer for a free initial consultation at our law office in Woodstock.